Description:- The Victorian language of flowers was used to express emotions: honeysuckle for devotion, azaleas for passion, and red roses for love. But for Victoria Jones, it has been more useful in communicating feelings like grief, mistrust and solitude. After a childhood spent in the foster care system, she is unable to get close to anybody, and her only connection to the world is through flowers and their meanings. Now eighteen, Victoria has nowhere to go, and sleeps in a public park, where she plants a small garden of her own. When her talent is discovered by a local florist, she discovers her gift for helping others through the flowers she chooses for them. But it takes meeting a mysterious vendor at the flower market for her to realise what’s been missing in her own life, and as she starts to fall for him, she’s forced to confront a painful secret from her past, and decide whether it’s worth risking everything for a second chance at happiness. 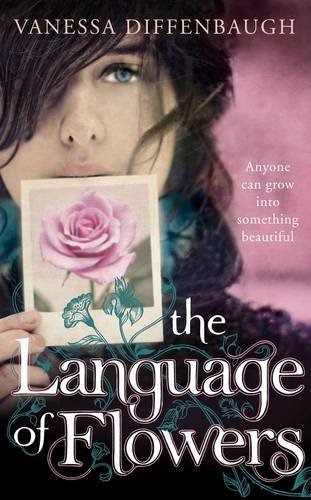 “The Language of Flowers” is a heartbreaking and redemptive novel about the meaning of flowers, the meaning of family, and the meaning of love. Review:- The language of flowers follows Victoria as she, for the first times sets out on her own . She grew up in the foster system with no family or friends, and once she turned 18 was able to leave and be responsible for her own life. Her only constant companion has been her love of flowers and this love leads her to a job, place to live and meeting an old acquaintance and falling in love. For someone who has lost everything over and over this is not easy for her to accept and its take Victoria a long time to be able to move on. Entwined with this story is the story of a younger Victoria at 10 years old, fostered out again to the lonely Elizabeth who teachers her about love, trust, flowers and heartbreak. I really enjoyed this book, its easy to get caught up in and you really do feel for Victoria . You want it to work out with Elizabeth even though you know it does not, you want her to let people in and be happy. Learning the meanings behind different flowers was interesting. Its not a perfect book, sometimes I thought the characters were to quick to forgive Victoria and that things just seem to easy and convenient. Its not really a sad book , or a happy book but it is a nice book and I would recommend it to anyone. This is a guest review by the lovely Laura. Thank you Laura. Disclaimer:- I was sent this book from the publishers in exchange for an honest review.